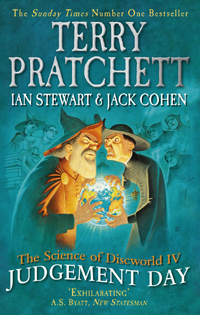 The Science of Discworld IV: Judgement Day, [with T.Pratchett and J.Cohen] Ebury Press, London 2013. The Science of Discworld III: Darwin's Watch, [with T.Pratchett and J.Cohen] Ebury Press, London 2005. The Science of Discworld II: The Globe, [with T.Pratchett and J.Cohen] Ebury Press, London 2003. The Science of Discworld, [with T.Pratchett and J.Cohen] Ebury Press, London 2002. Evolving the Alien/What Does a Martian Look Like [with Jack Cohen] Ebury Press , London 2002. Figments of Reality [with J.Cohen], Cambridge University Press, Cambridge 1995. The Collapse of Chaos [with J.Cohen], Penguin, Harmondsworth 1995.